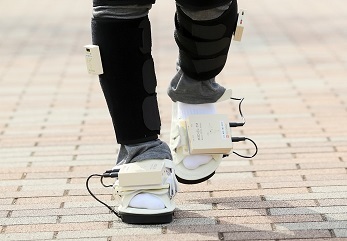 This portable M3D Force Plate is designed to be attached directly to the feet or slippers. 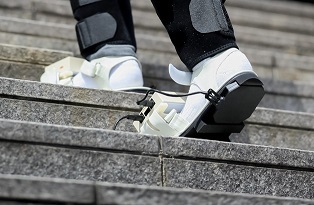 The M3D does not require that the feet are placed on separate force plates and can measure walking properties on steps or slopes where it is generally difficult to install force plates. • M3D is a patented product. Small sized Force Plates can be worn directly on the toe (95×80) and the heel (80×80). 3-axis acceleration, 3-axis angle speed and 3-axis geomagnetic sensors as well as six-component force sensors (Fx, Fy, Fz, Mx, My, Mz) are integrated. 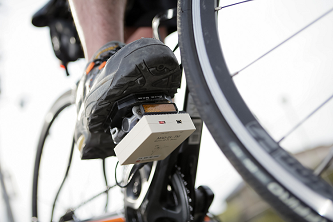 The wired M3D Force Plate offers simple gait measurement by connecting the Plate to a computer with a USB cable. The compact six-component force sensor can be used for a wide range of applications. - A maximum of four Plates can be used simultaneously. - Inertial sensors (acceleration, gyro, geomagnetic) are integrated in each Force Plate to measure simultaneously with six force components. - Measured data are saved as a CSV file in chronological order to allow various types of analysis.